The teachings of Tenrikyo are said to be direct revelations of God the Parent, who desires to save all human beings and thus enable them to live the Joyous Life. God not only created human beings and the world but has always been and will ever be the source of life and the sustainer of all things. The followers refer to God as God the Parent in the sense that God is the original Parent of human beings and, in prayer, glorify God as Tenri-O-no-Mikoto. According to Tenrikyo, “The universe is the body of God.” It is thus said that the world is filled with God the Parent’s workings. Tenrikyo teaches that God’s purpose in creating human beings was to take delight in seeing their Joyous Life. The Joyous Life is a state of perfect bliss that comes about when people share the delight of living joyfully and happily while helping one another. In this connection, Tenrikyo teaches, “Through saving others, you will be saved.” In order to realize that perfect world of the Joyous Life, it is of supreme importance to be free from selfish motivations and to awaken to the teaching that we are all brothers and sisters as equal children of God. As indicated by the teaching “The human body is a thing borrowed, the mind alone is ours,” the body is not to be regarded as our personal possession but as something we are borrowing from God the Parent and it is only the mind that can be said to be ours. Everything, whether we see it as fortunate or unfortunate, is considered to come about according to our use of the mind. This is referred to as blessings according to the mind. 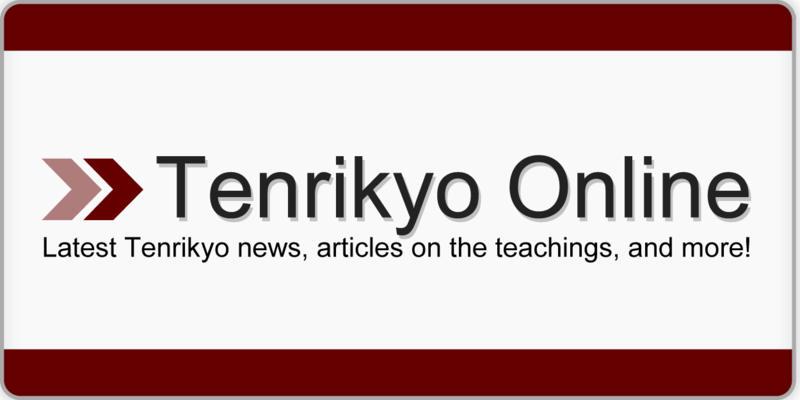 The objective of Tenrikyo is not to be achieved by praying for divine favors for oneself or one’s own family. Rather, the followers of the path seek to bring about the state of perfect bliss wherein all individuals live in joy and harmony through using the mind in accord with God’s intention. On the way to the Joyous Life we may encounter illnesses and problems, but these are seen as God’s guidance to encourage our self-reflection and lead us to the Joyous Life. By prompting us to watch how we use the mind, such situations can turn us in the direction of the Joyous Life. The first verse that the followers sing in the Tenrikyo service is: “Ashiki o harote tasuke tamae, Tenri-O-no-Mikoto (Sweeping away evils, please save us, Tenri-O-no-Mikoto).” It shows Tenrikyo’s attitude toward God’s salvation: namely, we must sweep away ashiki (evils) of our mind—which is to say, replace our self-centered mind—in order to have God bless us with salvation. The ashiki in the mind is also referred to as the dust of the mind, for rather than being something we can do nothing about, it can, like dust, be swept away. Daily effort to dispel errors in the use of the mind—even such slight ones that are, like dust, not easily noticeable—is the foundation for attaining salvation.